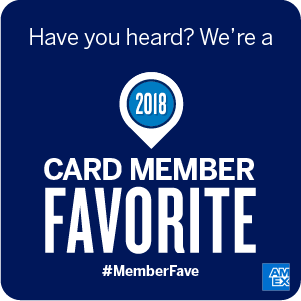 Todd Layne Cleaners is a 2018 American Express Member Favorite. We would like to thank our customers for another year of receiving this status! Since 2006, you have trusted us with your dry cleaning and wash & fold needs and we look forward to serving you in the future. If you are a new customer looking for a new dry cleaner and laundry service, look no further than Todd Layne Cleaners. Take $10 off your first two orders by using codes TLC1 and TLC2. Just mention at time of drop-off or request for pickup. Offers cannot be combined. As your trusted dry cleaner and laundry specialist, we pledge to always give you the highest quality services for a competitive price. We offer 100% Eco-Friendly Dry Cleaning and customized laundry solutions. We have a menu of premium soaps, softeners, stain fighters, and color boosters. You can also select your water/dryer temperature and give us gym clothes or delicates for air/hang drying. If you have a specific fold method, just let us know. Delivery is free within the Upper East Side and we have several convenient options to schedule. You can even text us at 646.661.4777. What’s stopping you? Call or text 646.661.4777 now. If you text, just say “new customer” and we will take care of the rest. Did you know? We clean Canada Goose and Moncler Jackets. Our leather specialist (in business for more than 100 years) uses a unique and gentle cleaning process to remove stains and keep your jacket looking like new. We have cleaned over 100 jackets so far this year and have repaired the damage to other jackets that were washed at home or taken to a dry cleaner that doesn’t specialize in this process. Trust Todd Layne for this service! Todd Layne Cleaners, the affordable Green Dry cleaner and Premium Wash & Fold specialist, is located at 242 East 77th Street, New York, NY 10075, serving all of the Upper East Side of NYC. Coin Laundromat and Luggage Storage available in store. *Free Pickup and Delivery…open Sunday. To schedule your first pickup or to look at our FAQ’s, please click here. Call/Text us with any questions at 646.661.4777.